Picture yourself being controlled by immature scientists who watch your every move. Thomas has been under the watch of the scientists since he was a little boy and can’t wait to have his revenge on WICKED. WICKED stands for World In Catastrophe Killzone Experiment Department. The Death Cure by James Dashner intrigued me into the book since page one. “The truth will be terrifying. Thomas beat the Maze. He survived the Scorch. He’ll risk anything to save his friends. But the truth might be what ends it all. The time for lies is OVER.” The maze has gigantic cement walls changing every night with grievers which are half-animal and half-machine creatures that roam the maze after the walls close. The scorch is a burned out section on the land and people have caught the flare (a disease that comes from being exposed to the scorch). WICKED, World In Catastrophe: Killzone Experiment Department, took everything from Thomas and his friends, the gladers. The one thing they don’t know is that Thomas has more memories retrieved than they think, and nothing WICKED says can make him believe a word that they are saying. As I read on, the story became more and more interesting due to WICKED letting all the glader’s memories come back to them. Thomas, Minho, and Newt, also gladers, don’t want their memories back because they don’t trust WICKED, but the older gladers do. Thomas, Newt, Minho had a plan to escape WICKED and they were all ready, but they were waiting for the right time to do it. It doesn’t work because they waited to long for the right moment, so the boys were shoved into a cell where they would be kept until WICKED decided on what to do with them because they waited to long to escape. The next day, WICKED lets them have their memories back even though the boys don’t want them back. The gladers don’t trust WICKED at all. At that very moment when Thomas, Newt, and Minho were going to give the boy’s back memories back was when they would attempt to escape because that was the plan all along. Out of all the characters in the book I admire, I think Thomas is the most deserving of my respect because he is only doing what is best for himself and his friends. The actions he makes to protect his friends is so inspiring which ultimately makes me wish I was more similar to him. Thomas is the leader of the group, brave, active, kind, intelligent, and a caring person. He always does the right thing to save as many people as he can before WICKED can destroy them all. Since Thomas was little, he has seen what WICKED has done and helped WICKED to achieve their goals. This time is was different he and all his friends were going to have their revenge and team up with a group of rebels who also want to take down WICKED. 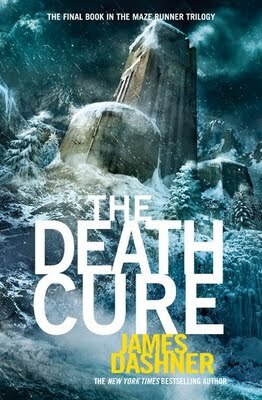 I loved The Death Cure from the beginning to the end of the novel. With James Dashner’s descriptive words and detail helping me imagine what was going on in the story. This amazing series of the The Maze Runner was incredible so far and I can not wait to read the rest of the series.